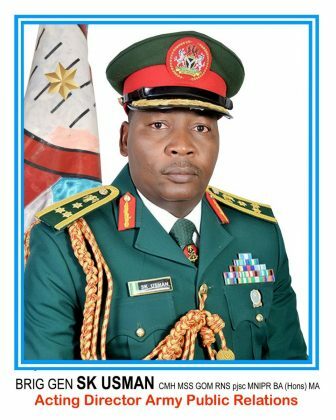 SK Usman, ABUJA: The Nigerian Army wishes to inform members of the public and all interested qualified applicants that, it will commence its online registration for the 77 Regular Recruit Intake for both Trades and Non Tradesmen and women into the Nigerian Army from 29th December 2017 to 9th February 2018. The exercise which is aimed at selecting able bodied Nigerians will be taking place in all states across the nation. Interested applicants must be Nigerians between the ages of 18 to 22 for non-tradesmen and women, while tradesmen and women must be between 22 to 26 years by 1st March 2018. Applicants are to visit the Nigerian Army official website http://recruitment.army.mil.ng to apply online. Please all are to note that application is free. For more details, applicants are to contact 08038575725 or 08037234828. Further details are contained in Daily Sun and Leadership newspapers of tomorrow Sunday 31st December 2017.